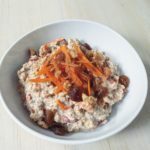 It’s hard to go wrong with bircher muesli – I like to mix and match my creations all the time. 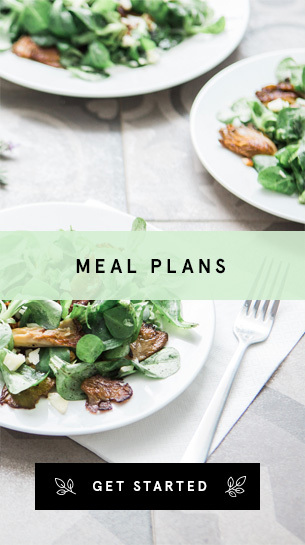 But here is a super easy-to-digest, light, low-fat/sugar option for those looking for variety or following a specific diet. I think it tastes just like a deconstructed carrot cake! The perfect way to sneak veg into your breakfast too. Soak oats, walnuts, sunflower seeds, sultanas in almond milk and water overnight. Before serving, grate the carrot and stir it through with the through the rest of the ingredients. Sprinkle cinnamon and extra carrot on top for decoration.